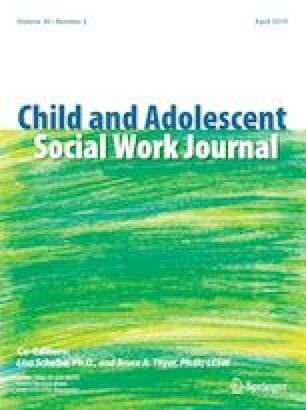 I am grateful to the editors of Child and Adolescent Social Work Journal for their decision to make my paper a target article and their invitations to interested people who have responded to my statements about views of attachment and attachment disorders as such views have or have not changed since an APSAC-APA task force reported on related issues over 10 years ago (Chaffin et al., 2006). In my opinion, the task force’s conclusions and warnings, although clearly stated, have not succeeded in changing attitudes toward two parallel but almost non-overlapping belief systems based on different concepts of attachment. Barry, R., Bartsch, K., Clapp, J., Clapp, T., DeYoung, K., Estes, D.,… Wilkowski, B. (2018, April 17). Letter: UW psychology faculty oppose treatments advocated by Institute for Attachment and Child Development. University of Wyoming Boomerang. http://www.laramieboomerang.com/opinion/letters_to_editor/letter-uw-psychology-faculty-oppose-treatments-advocated-by-institute-for/article_913b6898-4201-11e8-bb2c-8fd4176cadad.html. Drisko, J. (2018). Ongoing challenges in conceptualizing and treating Reactive Attachment Disorder. Child and Adolescent Social Work Journal. https://doi.org/10.1007/s10560-018-0548-2. Pandya, A. (2012, Fall). Children with reactive attachment disorder: Building hope for the future. NASW Practice Section in Child Welfare. Unpaginated online document. https://www.socialworkers.org/assets/secured/documents/sections/child_welfare/newsletters/2012%20Child%20Welfare%20Newsletter%20-%20Fall_OLD.pdf. Pandya, V. (2018). A critical response to Jean Mercer’s article on conventional and unconventional perspectives on attachment and attachment problems. Child and Adolescent Social Work Journal. https://doi.org/10.1007/s10560-018-0556-2. Vasquez, M. L. (2014). The impact of reactive attachment disorder on adoptive family functioning. Doctoral Dissertation. http://www.ir.uiowa.edu/cgi/viewcontent.cgi?article=5299&context=etd.